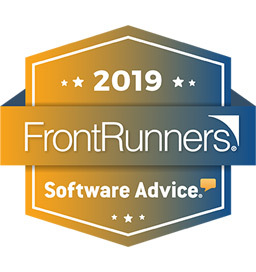 Kareo Clinical has been ranked as a leader amongst EHRs by Frontrunners. Kareo Clinical was designed and is managed by our team of healthcare providers. We worked hard to make our technology powerful with a focus on ease of use. 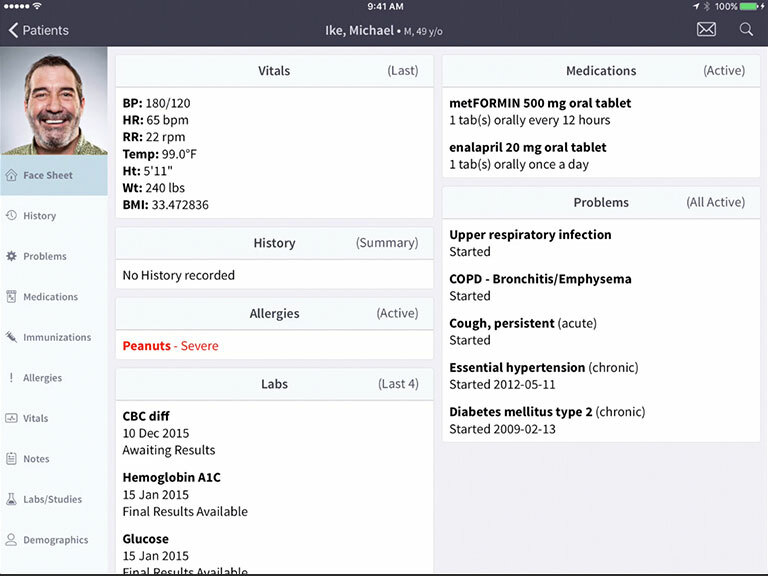 Kareo Clinical is cloud-based so there's no software to download and no hardware to install. After sign up, you simply create a log in, provide some basic information and your EHR is ready to go. Kareo Clinical was designed to be intuitive. But we also want to make sure you succeed from the start so we assign you a dedicated Success Coach. Kareo ranked highest in combined scores, according to Software Advice’s ranking matrix. Let us show you how easy it is to write notes and prescriptions, code encounters, view electronic health records and manage patients in our fully integrated, cloud-based EHR. Designed for healthcare providers. All the benefits of an EHR/EMR Software without the hassle. Configurable, Connected, CompassionateKareo Clinical is built with three clear goals. It's configurable to your practice, it connects seamlessly with billing and it is easy to use. 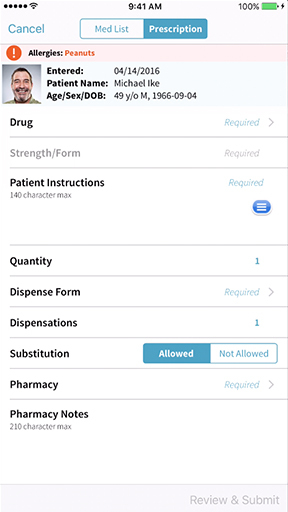 In the plan section of a note, moving between patients with your iPad or on the iPhone? No problem. With Kareo, you can e-prescribe from anywhere… and save your patients money too! Enjoy intuitive dashboard, task lists, and customizable multi-resource calendar. Save time and eliminate phone calls for you and your staff with electronic prescribing. Save your patients money too! Automate inefficient paper based processes with Kareo eLabs. Share medical records and billing information and communicate with patients securely at any time. 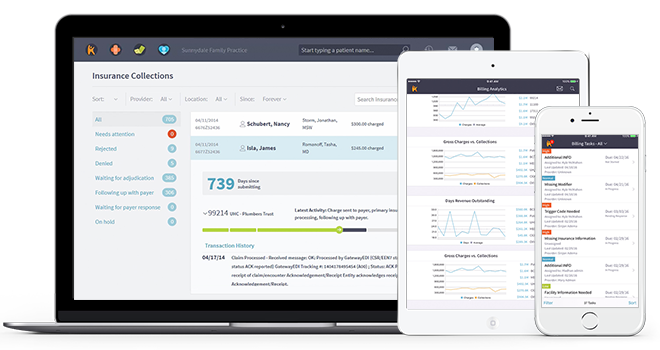 Conveniently message anyone in your practice, your biller or billing team, even your patients. Meet the highest standards for maintaining data confidentiality and secure sharing of information. Trust Kareo to guide you and your practice through a successful ICD-10 transition. Save time and customize your schedule so your front office can easily manage important patient communications. Search and compare prices at the point of prescribing. Increase likelihood of patients filling their prescriptions by providing them with discounts to save money. Your assigned Success Coach will schedule a welcome appointment with you. They'll show you how to get the most out of Kareo! As a physician provider, you get unlimited use of Kareo Clinical plus scheduling, appointment reminders and messaging. As a nurse practitioner, therapist, social worker, you get unlimited use of Kareo Clinical plus scheduling, appointment reminders and messaging. We'll help you get your files from the cabinets and closets up to the cloud, so they can be accessed anytime and from anywhere as electronic medical records. Read what others have to say about Kareo EMR/EHR. Successful use of an EHR is often dependent on a successful implementation. Download this guide and read about the 10 key steps that can help you launch your EHR and use it to the fullest. Kareo Clinical EHR is built just for independent practices, and was designed by healthcare providers, so it has the key features you want and is surprisingly easy to use. Write a note, prescribe a medication, view electronic medical records and create a superbill in just minutes. Plus, we offer full customer service and training support free of charge. In recognition of this, Kareo was recently listed as a Top 100 EHR by Medical Economics. 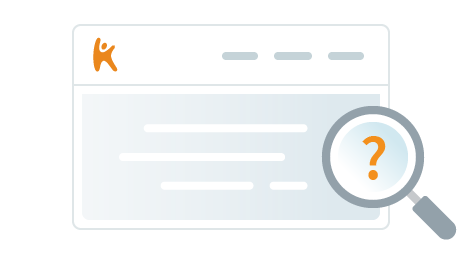 Customers tell us they find Kareo very intuitive and their learning curve is surprisingly brief. We try to make it easy! 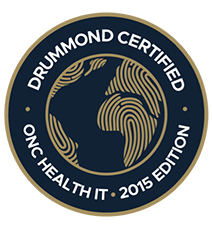 Typically, it takes about 30 days from sign up to being completely set up, trained, and actively using the EHR. However, proactive customers will tell you it can go much faster! We recommend providers and administrators sign up for a live training which is free. Your Success Coach can also provide more details to help speed up your training. For more information visit https://helpme.kareo.com/02_Kareo_EHR. From the patient's facesheet, click on "+ Note" in the upper right. It will open a SOAP note by default, which can be updated in My Settings, or you can select another note type (basically a form with sections) by clicking on the down arrow and selecting that note type. Then just click in the different sections and start typing ... or use templates or text short cuts. Add or remove sections if you don't see what you need right away. It is that easy. Yes, Kareo Clinical supports e-Prescribing for Controlled Substances via its partner Dr. First. There is a separate sign up process after enrollment with SureScripts and a one time $75 application fee. Ask your Success Coach for more details.